posted by Natural News.com contains great information so I had to share it with all of you! Astragalus is a traditional Chinese medicinal herb that has been around for over 4,000 years. Astragalus is an adaptogenic, nontoxic herb and plant extract that helps the body resist the damaging effects of stress while restoring normal physiological function. Astragalus aids adrenal function, digestion, metabolism, combats fatigue and increases stamina. Astragalus is very effective in helping people with AIDS and has even proven to have an anti-tumor effect and can increase the efficacy of chemotherapy. Astragalus protects against oxidative damage by increasing mitochondrial function without increasing the mitochondrial oxygen consumption. In the liver, astragalus is a mild choleretic and also increases repairs in chronic viral hepatitis while reducing inflammation and other symptoms. Astragalus also lengthens telomeres for longevity(TA 65 is a very pricey extract made from Astragalus that is touted to reduce all the effects of aging and mimics pretty much all the benefits of the inexpensive herb form of astragalus). Astragalus even increases motility of human sperm. Astragalus is considered to be a cardiac tonic.In the cardiovascular system, the saponins in astragalus inhibit lipid peroxidation in the myocardium and one study using patients with angina revealed that cardiac output increased after two weeks of treatment. Astragalus strengthens left ventricular function and reduces free radical damage in patients after a heart attack and increases super oxide dismutase activity in cardiac muscle. Studies at the University of Houston have shown that astragalus can improve immune function in cancer patients by increasing T-cell counts. Astragalus increases the ability of NK cells and T-cells to kill cancer cells while switching on the anti-tumor activity of Interleukin-2. In chemotherapy treatments astragalus provides anti-neoplastic activity anddecreasesimmunosupression. Astragalus reduces the consequences with both chemo and radiation of fatigue, weight loss, anemia, nausea and loss of strength while increasing WBC production for leucopenia (a common side effect of immunosuppressive therapy), thereby decreasing life-threatening infections. Even though this incredible herb is listed on the Botanical Herbs Board Exams and in theCompendium of Pharmacological Actions of Medicinal Plants and Their Constituents, naming the benefits of astragalus can bring a warning letter from both the FDA and FTC, as Dr. Andrew Weil found out when he listed the benefits of taking astragalus to prevent the swine flu. So don’t expect to see any of this information on a vitamin or herb label. Despite what modern medicine and the FDA says, healing did occur long before pharmaceuticals were invented. True health comes by good foods, minerals, herbs, fasting and cleansing. 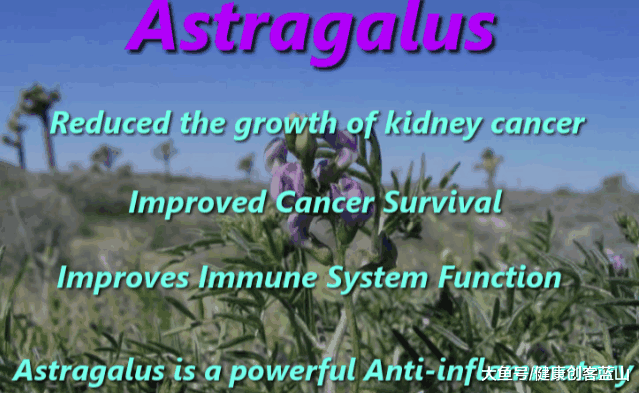 Astragalus is a good guy for natural health!